What are PVF Files? They are Pattern Viewer Files, which are basically documents that contain craft designs that you can purchase from PatternsOnline.com. Most of the designs at POL are PCStitch files, meaning you can purchase them, download them, and use all the PCStitch features to personalize the artwork. PVF files are also patterns, but they are more of a “picture” of the printout. You cannot make changes to the artwork. 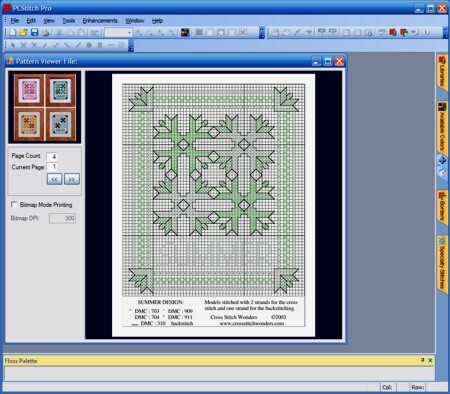 We want you to be able to use your PCStitch software for any content you may purchase at our PatternsOnline.com site, so we included the functionality to allow you to print these items. So, if you use PatternsOnline.com to purchase artwork, PCStitch is all you need to print your designs!